I want to do a GREAT giveaway for you! I'll give away all for my books on Amazon for FREE in Easter and the rest of April! This will be to you only for a limited time for you to take advantage off. 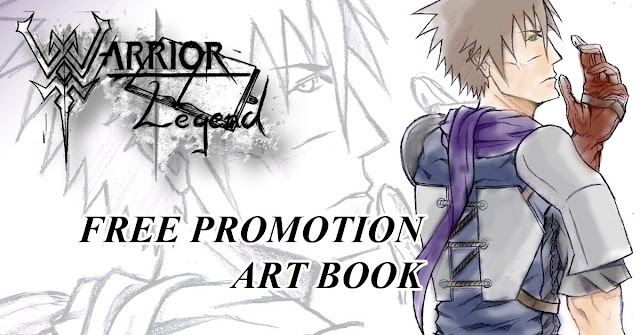 Meaning that all of Warrior Legend manga books will be downloadable for FREE at different dates during April, so look out!! I'm starting off with Warrior Legend Character Profiles so you can get into learning the characters or have it ready for the next week freebie to come! If you haven't got this yet one do yourself a favor and don't miss out on this extravaganza of Warrior Legend Mangas! There is more, yes but how will you get them all, you ask? To get the rest of the books to be sure to just check by the blog weekly or if you're as busy as I am you should subscribe to this page on the right top tab next to this post-----> smart!